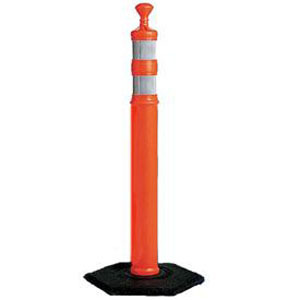 Grabber-style delineator post is reflective and has a recycled rubber base. Built-in handle makes pick-up and positioning easy and acts as a spacer to prevent sticking when stacked. 8-lb. recycled rubber base slips over the post for added support and stability.